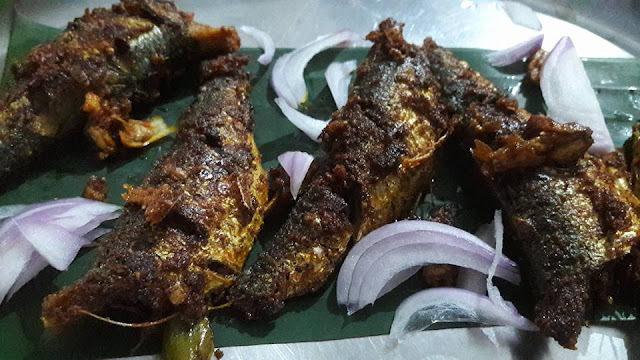 Sardines / Chaala/ Mathi fish Fry is every Keralites’ favorite dish with rice. you can shallow fry or deep crispy fry according to your taste buds. i prefer crispy version. मन भावने वचन मधु भरे छते की नाईं प्राणों को मीठे लगते, और हड्डियों को हरी-भरी करते हैं।Gracious words are a honeycomb, sweet to the soul and healing to the bones. (Proverbs 16:24). Make a smooth paste of ingredients 2 – 7. 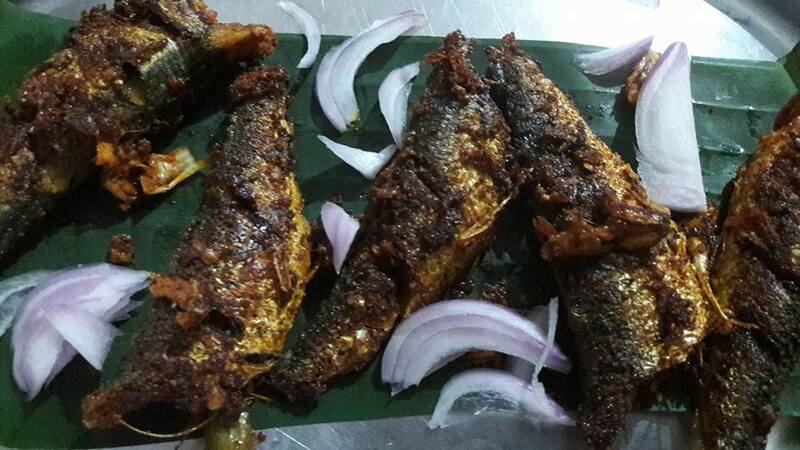 Marinate the fish with the ground paste for 10 minutes. at last add curry leaf string.. flip in between.